Living a comfortable life as a single woman in a large city is more than possible, if you plan for it in the right way. Women form 16.2% of India’s urban workforce, a number that has grown with each passing day. Many of these women are single- who stay away from their families due to their job or by their own choice. However, only one in four working women in India are financially literate. Most women merely accumulate their money in a savings account, instead of putting their money in a financial product that helps their money grow and make them independent for the rest of their life. So, here are some smart money management tips that can help single women live comfortably. Your life and health are your responsibility, hence, buying health and life insurance policy for yourself is crucial. A health insurance plan ensures you do not deplete your savings in case of a medical emergency. Many financial companies offer women-specific health insurance plans. Look out for features such as critical illness cover, cashless hospitalisation benefits, and post-hospitalisation treatment. Riders like accident insurance may also be a good idea if you travel a great deal. Women also get certain perks, like lower premiums, while buying a life insurance policy. An online term plan may prove to be the best choice as it is affordable and comes with tax benefits. The next step is to build an emergency fund for a rainy day. It will also come in handy if you lose your job, take an impromptu vacation or face hard times. An emergency fund should be able to take care of your living and other expenses comfortably for at period of 6 to 9 months. Pro Tip: You emergency fund should be equivalent to at least 3 to 6 months of your income. Instead of letting your money lie idle in a savings account, consider putting it in short-term debt plans. Such schemes ensure your money grows and can be withdrawn easily whenever you need it. It is never too early to start planning for your retirement days. The earlier you start, the more financially independent you will be when you are in the autumn of your life. Prepare a financial plan that maps your financial needs at every stage of your life. If you have time on your side, investing in equities is a suitable long-term option. That is because the risk associated with equities flattens over a long period of time. 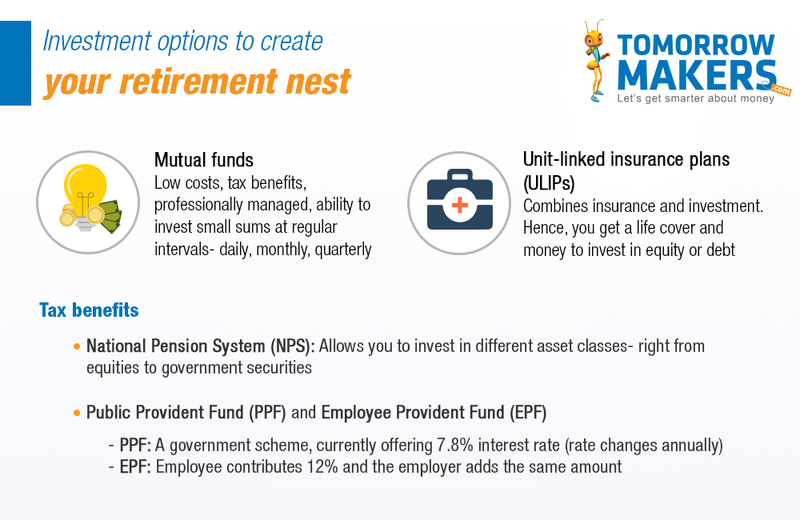 You can also invest in equity funds through a systematic investment plan (SIP) route. SIPs allow you to buy a lesser number of units when markets are high and a greater number of units when the markets fall; this investment strategy helps cut down losses. You can begin a SIP with as little as Rs 500 in a month. You can increase this amount as and when your salary increases. However, do bear in mind that you can only realise your retirement goals if you remain invested for the long run. Unless you are assured of a hefty inheritance, all single women should plan to invest in a property. Having a roof over your head is not only a sound investment plan, but also provides a sense of security and safety. Women buyers get some benefits as the government provides several interest subsidies. By investing in a property, you can help yourself build a lifelong asset and stay financially secure during your retirement. Thus, by following these steps, any single woman is pursuing a career away from home can lead a financially secure life. Besides, being in control of your finances gives you the confidence to make life decisions. Now, that is a feeling that money can’t buy!